Another in the bag for rapper and CEO of Mic One Entertainment, Okyeame Kwame! Okyeame Kwame’s performance in the Ghana Music Industry has over the past decade won the admiration of various music patrons. 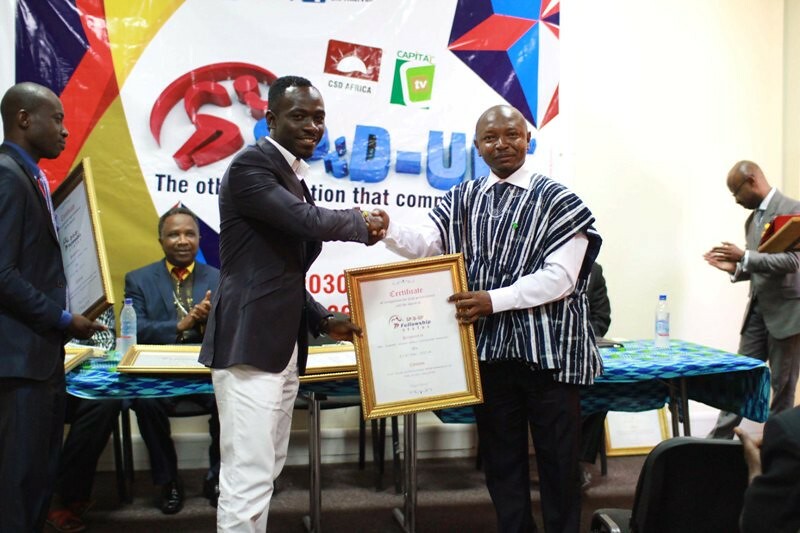 Particularly with regard to his differentiation from other artistes, high quality production and the social progressive value of his music, Okyeame Kwame won the award of high performance in the Music Industry during an award ceremony organized by SPID – UP. Individuals and institutions such as Ashesi University, MTN Ghana, Emmanuel Dei-Tumi, and among others, Chief Executive Officer of Opportunity International Savings & Loans Ltd., Mr. Kwame Owusu-Boateng all received awards for outstanding performance in their respective business and creative fields. 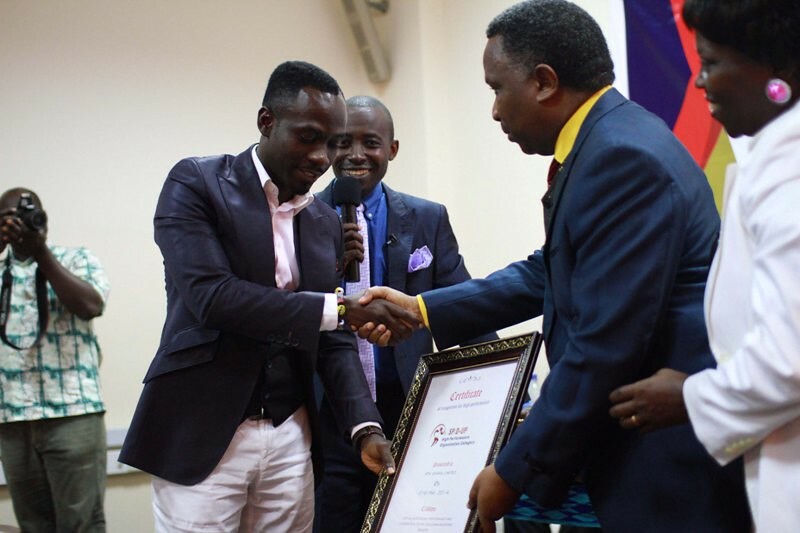 Tags:Ashesi University, Emmanuel Dei-Tumi, Mr. Kwame Owusu-Boateng, MTN Ghana, Okyeame Kwame, Opportunity International Savings & Loans Ltd.
Okyeame Kwame receives award for outstanding performance in the music industry 0 out of 5 based on 0 ratings. 0 user reviews.